Home » Healthcare Cybersecurity » Is Hotmail HIPAA Compliant? Many healthcare organizations are unsure whether Hotmail is HIPAA compliant and whether sending protected health information via a Hotmail account can be considered a HIPAA compliant method of communication. In this post we answer the question is Hotmail HIPAA compliant, and whether the webmail service can be used to send PHI. Hotmail is a free webmail service from Microsoft that has been around since 1996. Hotmail has now been replaced with Outlook.com. In this post we will determine if Hotmail is HIPAA-complaint, but the same will apply to Outlook.com. For the purposes of this article, Hotmail and Outlook.com will be considered one and the same. There is a common misconception that all email is HIPAA compliant. In order for any email service to be HIPAA compliant, it must incorporate security controls to prevent unauthorized individuals from gaining access to accounts and for any information sent via the email service to be secured to prevent messages from being intercepted. There must be access controls, integrity controls, and transmission security controls in place – See 45 CFR § 164.312(a), 45 CFR § 164.312(c)(1), and 45 CFR § 164.312(e)(1). All email accounts are secured with a password, but not all email accounts securely send messages. If messages are not encrypted in transit, they could easily be intercepted and read by unauthorized individuals. In order to be HIPAA-compliant, email messages should be encrypted in transit if they are sent outside the protection of an organization’s firewall. Encryption is not required if messages are sent internally and the messages are sent via a secure internal email server that sits behind a firewall. Since Hotmail is a webmail service, it lies outside the protection of a firewall. In order to be HIPAA compliant, Hotmail would need to incorporate security controls to prevent messages from being intercepted. Hotmail uses HTTPS, so any information transferred between the browser and the Hotmail site is encrypted, and messages are also secured in transit. However, while Microsoft says it does not scan the content of messages and will not sell that information to third-parties such as advertisers, Microsoft does have access to messages. Further, in order for an email service such as Hotmail to be HIPAA compliant, it would be necessary to first obtain a HIPAA-compliant business associate agreement with the email service provider. Microsoft does offer business associate agreements for Office 365, but Office 365 does not include Hotmail or Outlook.com email accounts, which are free consumer email services. Microsoft does not offer any business associate agreements for its free consumer services. Therefore, the answer to the question is Hotmail HIPAA compliant is no. Without a signed business associate agreement, Hotmail email accounts should not be used. The same applies to Gmail accounts and most other free consumer email services. 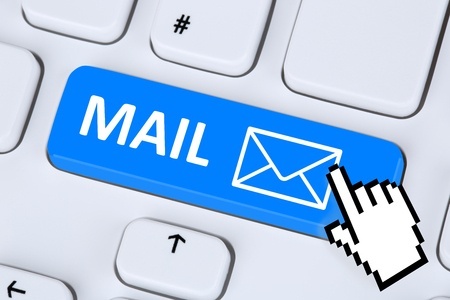 Can You Send PHI to a Patient’s Hotmail Account? If your email system is secure and HIPAA-compliant, is it possible to send PHI to patients if they have a Hotmail account? HIPAA does permit healthcare organizations to send PHI to patients via email, regardless of the email service provider the patient uses. However, it is not permitted to send emails to patients without first obtaining their consent to do so. When obtaining consent, you should communicate to patients that the sending of PHI via email is not secure and that their information could potentially be intercepted and viewed by individuals who are unauthorized to view that information. If patients are informed of the risks, and confirm that they accept those risks, PHI can be sent via email, even if they have a Hotmail or Outlook.com email account. Covered entities should document that consent has been obtained and patients have opted in to receive information via email, including how you authenticated their identity.